Thirteen-year-old Rose takes on the wild west, outlaws, and the strict rules of the early 1900s. When Rose Solomon's brother, Abe, left El Paso, he told the family he was heading to Brooklyn. But Rose discovers the truth the day she picks up the newspaper at Pickens General Store and spies a group photograph captioned The Southwestern Scourge of 1915! There stands Abe alongside none other than Pancho Villa and his army! Susan Krawitz is a freelance writer and editor. 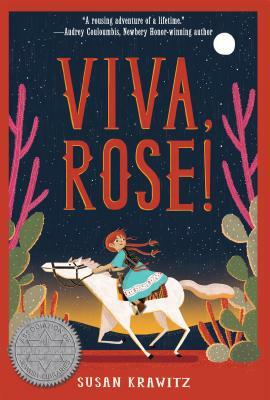 Viva, Rose! won the Sydney Taylor Manuscript Award for a middle grade novel. The story is partly based on her family's stories of a cousin who rode with Pancho Villa during the Mexican Revolution. She lives in New York.